NOTES: Finally, an early 1/48 Hurricane. The Hurricane marked the introduction of RAF Fighter Command to the "nouvelle vogue" of a high-powered, low-wing, heavily-armed monoplane fighter. First flown as a prototype in 1935, the Hawker Hurricane was evolutionary, rather than revolutionary, in that while it did introduce the monoplane design and a battery of eight machine guns, it was built in exactly the same manner as the biplane fighters it replaced: a metal airframe, covered with fabric other than metal panels around the cowling and cockpit. The first production Hurricane was delivered to the RAF in October 1937, and "Treble One" - the first squadron to be equipped with the Hurricane - received their first three aircraft in January 1938. The aircraft were not without fault, and 111 Squadron effectively became the "service trials" unit. Moving up from the Gloster Gauntlet, an airplane thoroughly derivative of the technology of the First World War, the pilots were impressed by the size of the Hurricane, the noise associated with its engine, and the marked feeling of speed when airborne in comparison with their previous mount. By the Spring of 1940, Hawkers had begun producing the Hurricane with metal wings, and the old "rag wing" fighters either had their wings replaced or were removed from first-line operations by the conclusion of the Battle of Britain in September 1940. Archaic as its construction might have been, the very primitiveness of the early Hurricane became Britain's salvation in the summer of 1940, due to the fact the fabric wings and fuselage were easily patched up when aircraft were recovered from crashes and thus returned to service more quickly than did the more modern Spitfire. 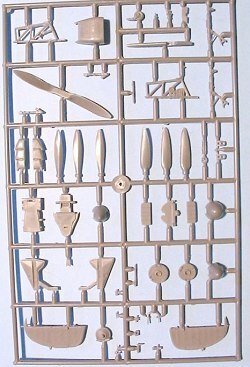 To date, there were two ways to make a model of the early Mk.I Hurricane: sand off all detail of the wing of a Hasegawa Mk.I, then create "rib tape" the laborious way that World War I modelers do, or buy the MDC resin wing conversion set, which easily cost more than the original kit. 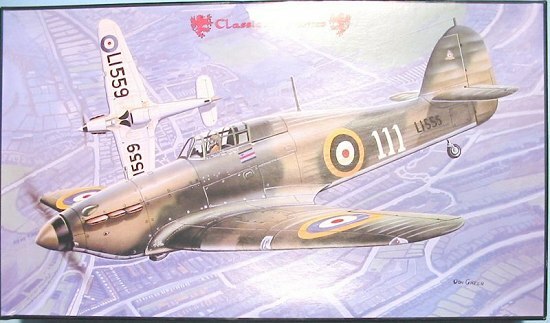 This Hurricane from Classic Airframes is the best kit they have yet released. It is obvious they are using a different company from MPM for design and production of their kits. While still a limited-run kit, this Hurricane will look very good sitting next to its brethren who began life in Japan. In fact, if you know the Hasegawa Hurricane at all, you will know the parentage of this kit. That is not a bad thing, since the Hasegawa kit is still the gold standard for making any Hurricane in 1/48 scale with metal wings; Classic Airframes studied what Hasegawa did and has removed some of the mistakes from the production design - such as the incorrect fuselage area aft of the sliding canopy, and the poor design of the lower wing-to-fuselage fit, in which the seam runs across a fabric area rather than along the panel line, which is what Classic Airframes chose to do. 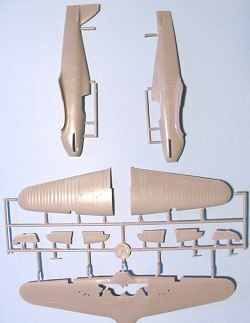 With the parts provided, which include the Watts 2-blade wooden prop, the deHavilland 2-position prop and the Rotol constant speed prop, the venturi and the pitot air speed indicators, the early and late production canopies (two of each, beautifully vacuformed), and both the "kidney" and early "ejector" exhausts, a modeler can make any sub-variety of the early Hurricane they wish to. Decals are by Micro-Scale, and appear well-researched and of excellent quality. In the RAF kit (which I have), a modeler can do the record setter flown by Squadron Leader John "Downwind" Gillan, aircraft from 56 and 151 Squadrons in various forms of the pre-war markings and underside colors, and a 1 Squadron Hurricane in France with the Advanced Air Striking Force in 1939. There is one thing to note that is incorrect in the markings diagrams: the early Hurricane was painted in "A" and "B" schemes, alternating every other airplane down the production line. The "B" scheme is the "mirror" of the A-scheme, reading from right-to-left instead of left-to-right. Since the first production Hurricane had an odd-number serial, it is very easy to figure out which scheme applies: odd-number serials are "A" scheme, with even-number serials in "B" scheme. 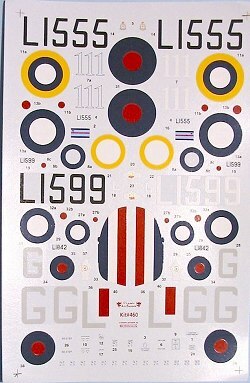 Thus, the 151 Squadron airplane, which had its serial painted out, can be the "A" scheme shown in the diagram, as can L1555 and L1599 from 111 and 56 Squadrons respectively; however, the 1 Squadron Hurricane, L1842, should be done in a "B" scheme for historical accuracy. Just about every Hurricane fan I know of has lamented the lack of an early Hurricane "ragwing." The problem is now solved, gents! This kit is accurate, well-designed, and will look good when completed. I can also report that the model goes together very easily, since it immediately went to the top of the to-do stack as soon as I took the pictures that accompany this review. There will be a full-build review quite soon!